USA top athletes will be displaying their stuffs this weekend wearing the special Jordan Brand Classic, which have also been made available to the public. 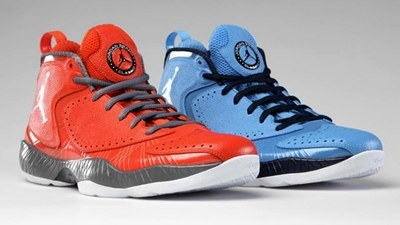 The Eastern team-themed Orange colorway and Western team-themed University Blue colorway of the Jordan Brand Classic is now available in an Air Jordan 2012 Deluxe edition package, which contains low and high inserts as well as three insoles. With the noise it is currently making and the complete package offered, this one will be yours at a very reasonable price of $223 so go and get one now!